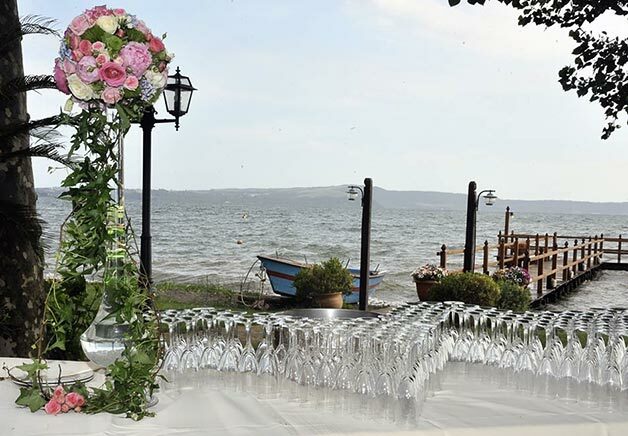 oday I would love to introduce a new venue for your wedding on the shores Lake Bracciano. 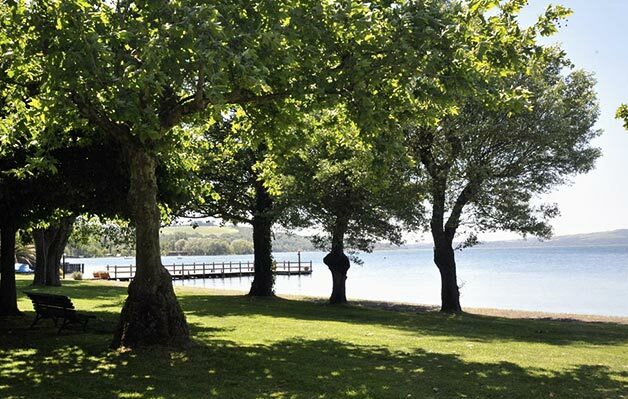 It is located just close by Trevignano inside a totally green area of Regional Park of Lake Bracciano. 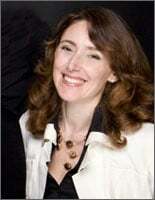 You would surely appreciate its fun, relaxing and enjoyable atmosphere. 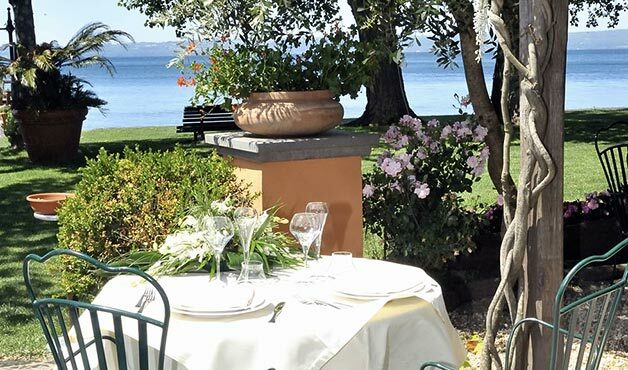 After a civil ceremony in Trevignano or a religious ceremony in Anguillara church or Trevignano church you could plan to reach this lovely restaurant to celebrate your wedding reception in a relaxed atmosphere. You can even decide to have a nice aperitif on board of motorboat Sabazia as I told you about in one of my previous posts. 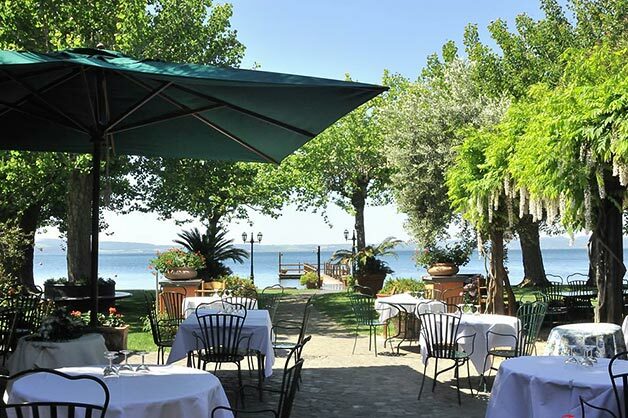 After the ceremony or the aperitif on board of the motorboat just on Lake Bracciano you can reach this lovely restaurant with a very short transfer or shuttle service that I can easily plan for you. The restaurant was build in the 50s. It used to be a country house on the shores, a little Teverna for travellers and hunters. 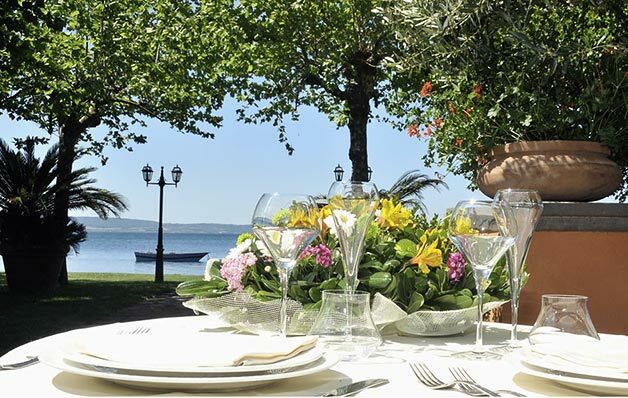 The building was renovated and become a wonderful restaurant with a magical view on the Lake. 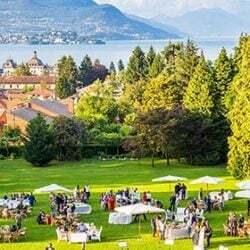 There is a wide park that can host your aperitif at your arrival. 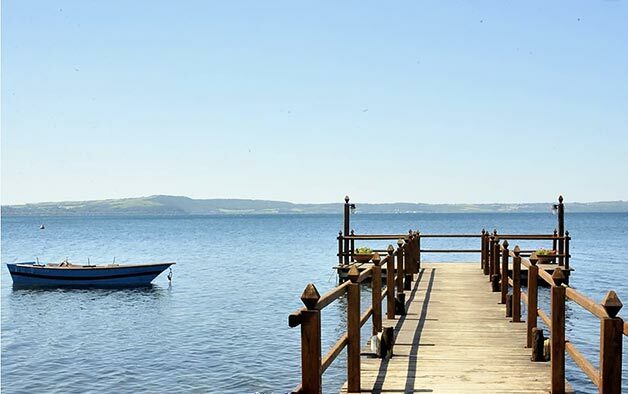 The big private jetty on the Lake could be the perfect set for your wedding photos with Lake Bracciano as backdrop. For your reception to follow your can choose between the wide canopy and the indoor restaurant. I really do suggest the canopy… for a real Roman al fresco dinner. The restaurant is also idea for winter weddings. 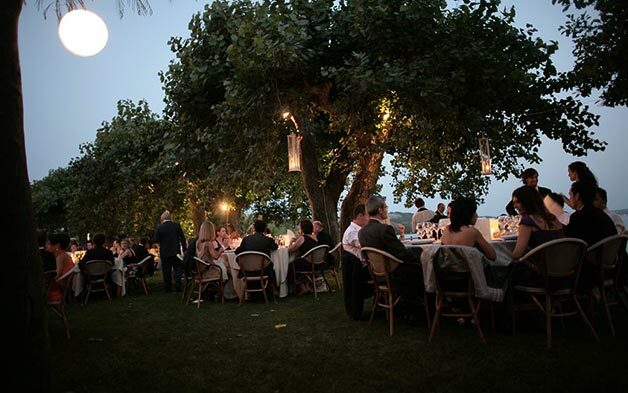 In this case the aperitif can be served under the canopy and dinner inside the lovely rooms of the restaurant itself. You can host up to 200 guests in this wonderful restaurant but it can be ideal also for small events. The restaurant can offer the possibility to have a fun party with bar and music afterwards. 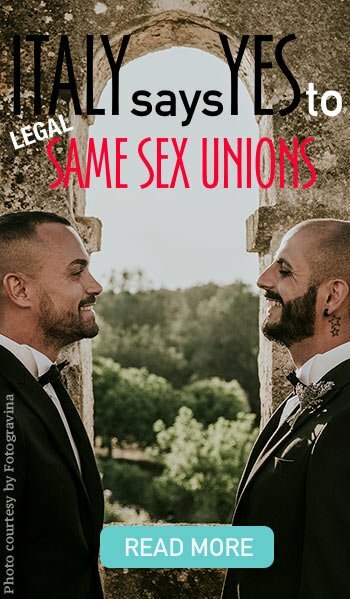 After the cut of the wedding cake you can start the real party! There are no limits with timings for a party you and your guests will never forget! 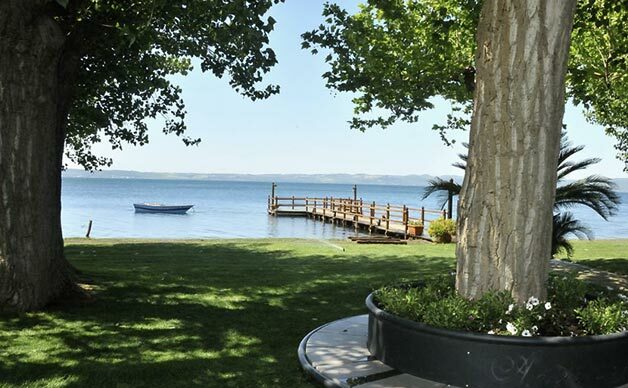 Let’s not forget that Lake Bracciano is very close to Rome. Your staying can be really amazing. 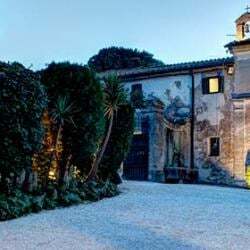 Trips in Rome are so easy to arrange for you and your guests… and you can even decide to start your honeymoon in romantic Rome itself! 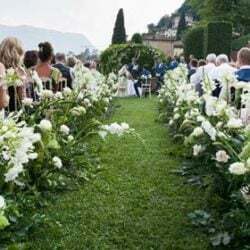 So if you are interested in a fun, relaxing, and charming wedding just on the shores of Lake Bracciano, not far from Rome please do not hesitate to CONTACT ME. I will be pleased to send you all information and details. Stay turned I will come back soon to tell you about a lovely wedding I recently planned here…. I am emailing on behalf of my cousin, to organise an Indian wedding. We are looking at July 28th and 29th 2017. 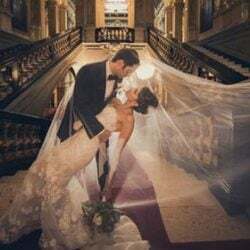 We would ideally like the civil ceremony on 28th,followed by a lunch, and Indian ceremony, followed by an evening reception with dinner, drinks and dancing! 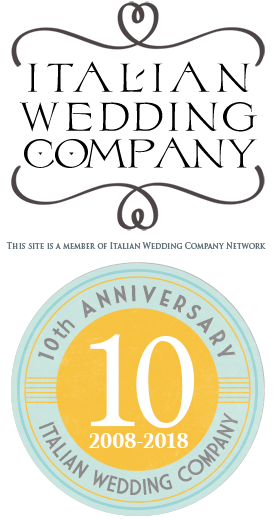 We are expecting approximately 70 guests. 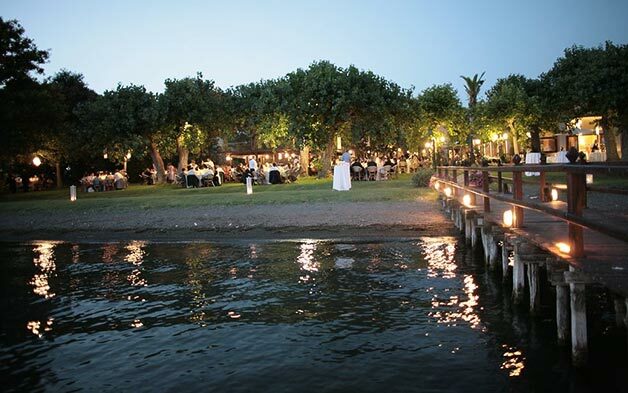 – We would like the Indian wedding and reception outdoors – is this possible on the terrace? 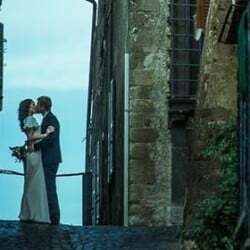 – Is the civil ceremony possible at your venue, or would it have to take place at the town hall? – how late can the DJ play music? 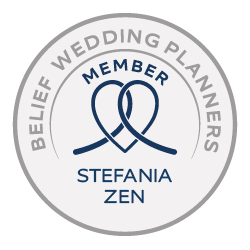 – lastly, would you be able to recommend anyone who specialises in organising Indian endings for decor, priests?